A large stone statue of a huntress, or Diana, the Roman goddess of the hunt. 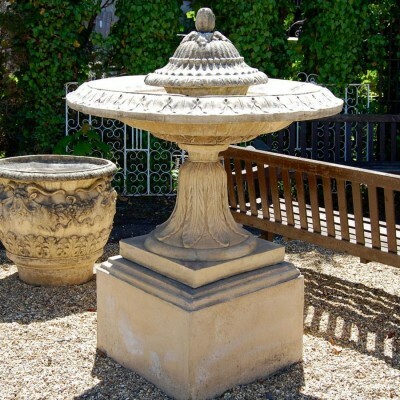 The statue sits on an ornate pedestal decorated with acanthus leaf and floral designs. Pair available. Also pictured with a Hunter statue, listed separately.